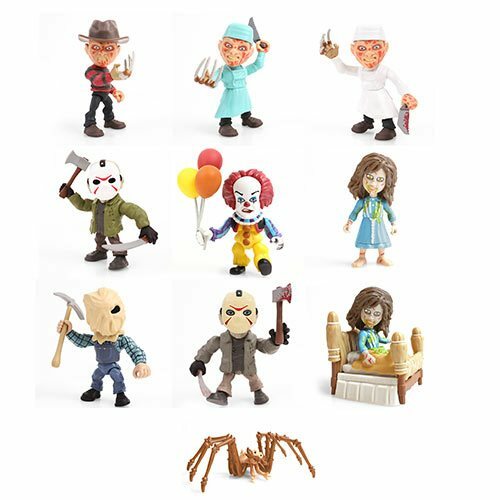 Have sweet dreams when you're camping at Camp Crystal Lake with these Horror Action Vinyl figures! 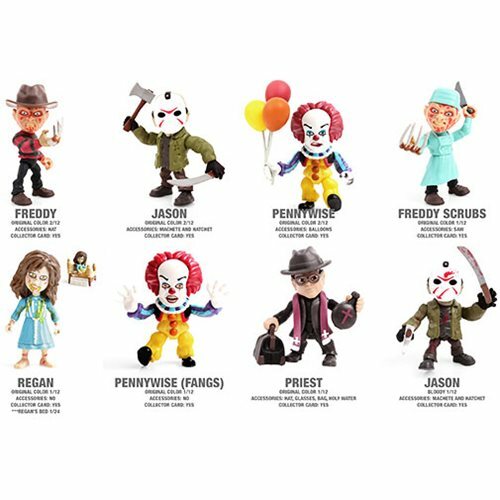 The Horror Action Vinyls Wave 1 Random 4-Pack may feature your favorite characters such as Freddy Krueger, Jason Voorhees, Pennywise from It,, Regan from The Exorcist, and the Spider from It. Ages 14 and up. 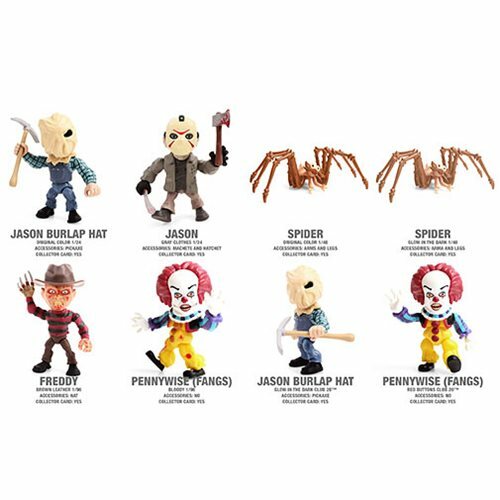 The Horror Action Vinyls Wave 1 Random 4-Pack contains 4 individually packaged, randomly picked, blind-boxed 3 1/4-inch mini-figures. Each Horror Wave 1 Action Vinyl Figure contains over 11 points of articulation with accessories.